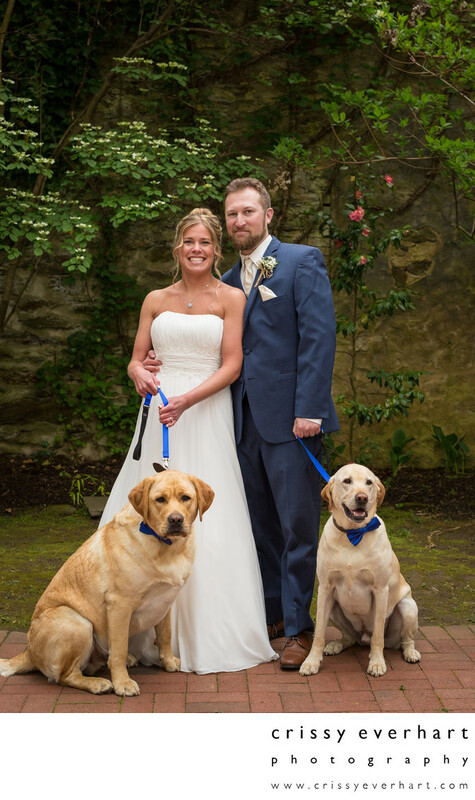 This couple brought their rescue pups to be their ring bearers at their wedding at the Old Mill in Rose Valley. I love photographing dogs in wedding parties, they always steal the show! Location: 9 Old Mill Ln, Rose Valley, PA 19063.